This is a single model - a cost saving set of three is available HERE. 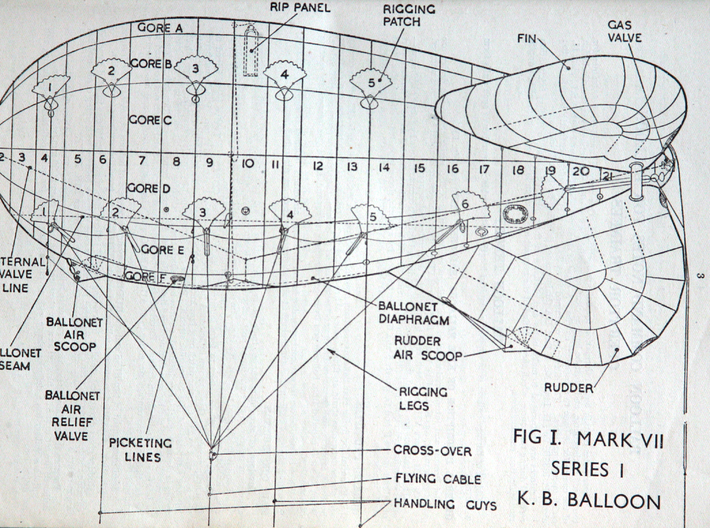 The Barrage Balloon was the single most numerous aircraft type used during World War 2. They had proved their worth during the First World War and both the Allied and Axis powers were quick to establish squadrons of them ready for the outbreak of the Second. 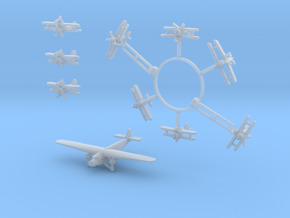 Their obvious detterent affect against low flying aircraft was joined by the fact that attackers were forced to fly at altitudes sufficient enough to keep them within the sights of anti-aircraft guns for longer. In Britain, every major port and quayside and all larger cities and towns were protected by them. They were flown by ships of the Atlantic convoys and were used in occupied Europe from D-Day onwards. 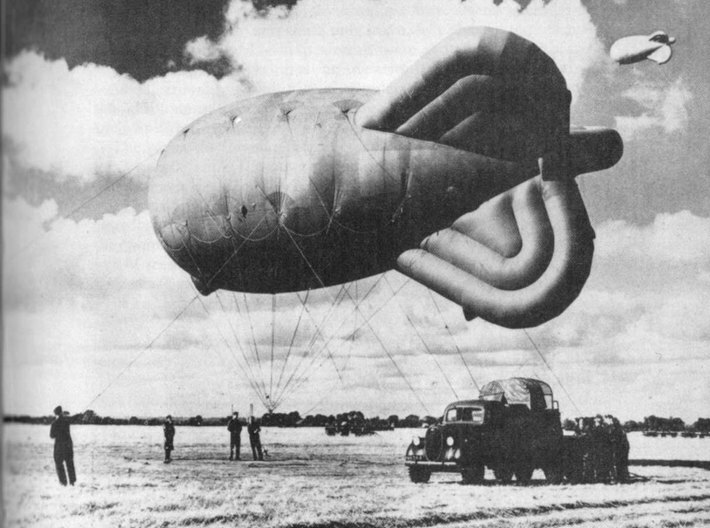 Wherever longer term anti-aircraft defence was required, barrage balloons were pressed into service and their contribution to the Allied victory cannot be overstated. The Russians used them in the defence of Moscow at least. The model represents the British developed D7 type of which many hundreds were built both in the UK and by Goodyear in the USA. 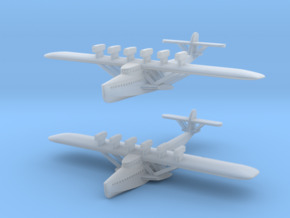 Several variants were constructed although virtually all used the same tri-form tail fin configuration. 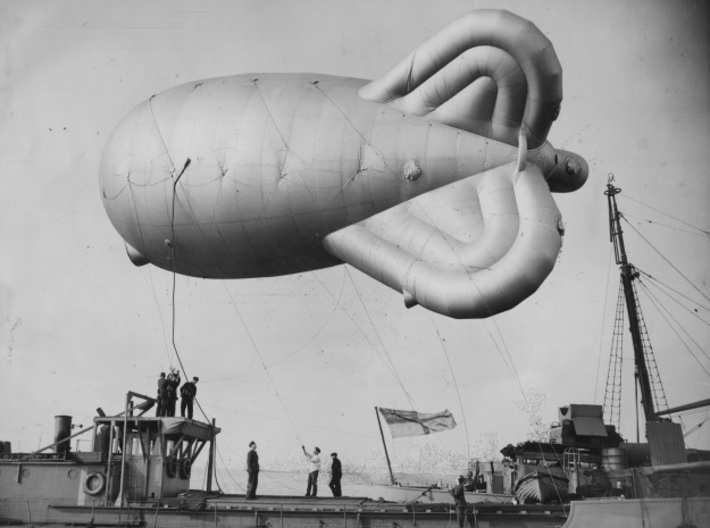 The main envelope was hydrogen filled and equipped with an air-filled ballonet that was kept inflated by wind pressure and thereby maintained the hull shape. 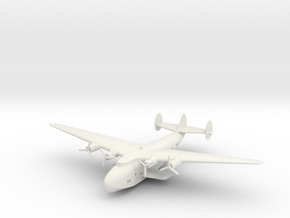 The tail fins were similarly inflated by wind pressure and often drooped characteristically when winds were light. They were flown slightly nose-up into the wind. 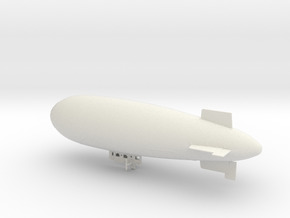 The model has a 1mm dia hole in the bottom of the hull for a mounting wire.